What is COST of Pancreatic Cancer Surgery in India | Pancreatic Treatment India? Pancreatic Cancer is cancer of the Pancreas situated near the liver, which produces enzymes that help in digestion of food, and to maintain the sugar levels in the body. Pancreas is a small organ located in such a way that it is difficult to reach it. Wide experience and proper equipment are needed to treat Pancreatic Cancer. Forerunners Healthcare Consultants have an association with several prominent surgeons and the best hospitals for pancreatic cancer surgery in India offering high quality treatments at affordable rates. The best only : Forerunners Healthcare Consultants has an association with a panel of doctors in India who will never compromise with the efforts in surgery to be performed. Comfort : Our company ensures you remain stress-free from the moment you land in India. We take great care even after the patient has received the treatment and is going through recovery. Low cost : What is the pancreatic cancer treatment and surgery cost in India? The cost is quite low compared to the US and it involves expenses, including surgeries, stay, medication, meals, flight tickets, are very much less than most of the countries offering the same state-of-art facilities. Our services : We offer assistance in arranging medical visa, accommodation for the patient and family, meals, appointment with surgeon. We also take care health diet as advised by your attending surgeon, to and fro airport travel, vacation tour, etc. 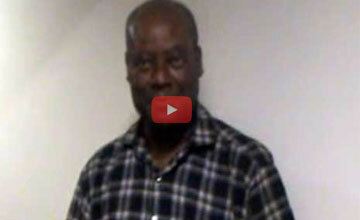 My Name Is Mr. Philemon, I Am From Kenya. 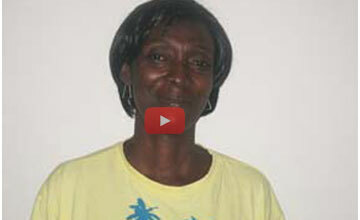 I Was Diagnosed With Pancreatic Cancer. My Doctor Suggested Treatment In India. I searched over the internet and found Forerunners Healthcare Consultants. After a procedure, I reached India for the treatment. The surgery went well and I have recovered. Thanks to Forerunners Healthcare group. The pancreas is a small organ which plays a big role in our body. It is situated near the liver, which produces enzymes that help in digestion of food, and also helps to maintain the sugar levels in the body. Insulin is the hormone produced by the pancreas, which helps in balancing the level of glucose in the blood. Pancreatic tumor is a growth of tissue that forms an abnormal mass known as neoplasm. There are no useful functions for tumors and they grow at the expense of healthy tissues. Pancreatic tumor never gets detected till the late stage. Since the pancreas is a tiny organ and the place it is situated is tricky it can cause trouble to the other vital organs. Most pancreatic cancers begin in the ducts that carry pancreatic juices. 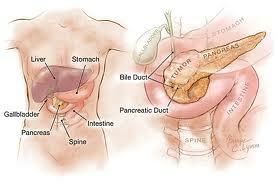 Cancer of the pancreas may be called pancreatic cancer or carcinoma of the pancreas. A rare type of pancreatic cancer begins in the cells that makes insulin and other hormones. Cancer that begins in these cells is called islet cell cancer. Best Hospitals for Pancreatic Cancer Surgery in India. The top hospitals for pancreatic cancer surgery in India offer comprehensive solutions for patients with pancreatic disease encompassing treatment modalities that are tailored to each patient. The best pancreatic cancer doctors in India provide treatments depending upon the condition of a patient and hence the treatment plan can differ from one patient to another patient. The Whipple surgery cost in India is quite affordable than that offered in the Western countries. There are two types of pancreatic cancer, that of the exocrine gland and that of the endocrine gland. About 95 percent of pancreatic cancers begin in the exocrine cells of the pancreas. Ductal Adenocarcinoma - Adenocarcinomas account for over 75% of all pancreatic cancers, and develop from cells that line the ducts which carry the digestive juices into the main pancreatic duct and then into the duodenum. They can develop anywhere within the pancreas. Most commonly, they are found in the head of the pancreas. Acinar Cell Carcinoma - This is a very rare cancer (about 1% of pancreatic cancers) and develops in the acinar cells that produce and secrete the digestive enzymes. These tumours may produce excessive amounts of the digestive enzymes and so cause distinct symptoms, including unusual skin rashes and joint pain. Adenosquamous Carcinoma - These tumours are similar to adenocarcinomas in that they form in glands, but the cells flatten as they grow. Intraductal Papillary Mucinous Neoplasm/Tumours - Also known as IPMNs (or IPMTs), they form in the main pancreatic duct or in its side branches. They form finger like projections known as papillae into the duct and secrete a large amount of mucous which often causes the duct to expand or dilate. They account for about 3% of cases. They may be benign when first diagnosed, but if left unchecked, may change into a more aggressive and invasive form of cancer. Mucinous Cystadenocarcinoma - A rare malignant cyst filled with mucin - a thick gel like fluid - predominantly affecting the tail of the pancreas and not the ductal system. They account for 1 - 2% of exocrine tumours and almost exclusively are found in women (middle-aged). If the cyst (which can grow very large -up to 20 cm) presses on the bile duct it will cause obstructive jaundice. Pancreatoblastoma - A very rare childhood tumor (predominantly found in children under 10). It is even more rarely seen in adults. Mainly made up of acinar cells, some show ductal elements and even endocrine cells. Its features overlap those of acinar cell carcinoma. Serous Cystadenocarcinoma - A cyst filled with thin, watery fluid. These are almost always benign tumors, which although can grow quite large, do not spread to other parts of the body. Cystic tumors represent about 2% of all pancreatic cancers. Most are benign, but their growth will impact on other structures and cause symptoms such as jaundice if they press on the bile duct. Solid and Pseudopapillary Tumors - These are rare, benign or low grade malignant tumours more commonly seen in girls and young women. They can occur anywhere, but most frequently they are found in the tail and consist of both solid and cystic parts. They have a good prognosis if they can be completely removed since they can spread. Endocrine Tumors: These tumors are less common and are most often benign. Though rare, cancer stemming from an endocrine tumor (cystadenocarcinoma) affects the hormone-producing cells. There are different types of Endocrine tumors. Gastrinomas (Zollinger-Ellison Syndrome) - These produce too much gastrin, causing peptic ulcers in the stomach or duodenum. This leads to severe pain, bleeding causing black tarry stools (faeces), and diarrhoea. They occur in the pancreas and in the duodenum. These tumors are mostly malignant, meaning cancerous. The majority of cases appear to develop for unknown reasons, but about 25% of cases are associated with the MEN-1 syndrome, and as such are inherited as part of a genetic syndrome. Improved early screening in at risk groups may lead to earlier diagnosis when the tumors are still benign. Glucagonomas - These produce too much of a hormone called glucagon. This causes a very specific type of skin rash (redness, ulceration and scabbing), anaemia, mouth ulcers and diarrhoea. These tumors are mostly malignant, meaning cancerous. Insulinomas - These produce too much insulin, causing weakness, loss of energy, dizziness and drowsiness. These tumors are nearly always benign, meaning non-malignant and non-cancerous. Insulinoma is the most common and well-known islet cell tumor of the pancreas, accounting for more than 75-80% of sporadic functioning pancreatic islet cell tumors. PPomas - These are also usually malignant, meaning cancerous. Somatostatinomas - Produces too much of a hormone called somatostatin. This causes gall stones, diabetes and diarrhoea with bulky fatty and smelly stools (steatorrhoea). These tumors are mostly malignant, meaning cancerous. VIPomas - Produces too much of a hormone called VIP. This causes a great deal of watery diarrhoea, flushing of the face, and high blood pressure. These tumors are mostly malignant, meaning cancerous. How is the Pancreatic Cancer Diagnosed? How to do Diagnosis of Pancreatic Cancer? Physical Exam - The doctor examines the skin and eyes for signs of jaundice. The doctor also examines the abdomen to check for changes in the area near the pancreas, liver, and gallbladder and to check ascites. 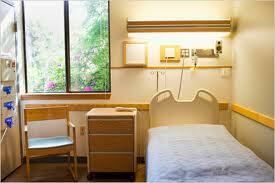 Lab Tests - The doctor may take blood, urine, and stool samples to check for bilirubin and other substances. Blockage by a tumour may cause the level of bilirubin in the blood, stool, or urine to become very high. High bilirubin levels can result from cancer or from noncancerous conditions. CT Scan (Computed Tomography) - An x-ray machine linked to a computer takes a series of detailed pictures. The computer puts the x-rays together to create pictures of the pancreas and other organs and blood vessels in the abdomen. Transabdominal Ultrasound - To make images of the pancreas, the doctor places the ultrasound device on the abdomen and slowly moves it around. EUS Endoscopic ultrasound): The doctor passes a thin, lighted tube (endoscope) through the patient's mouth and stomach, down into the first part of the small intestine. At the tip of the endoscope is an ultrasound device. The doctor slowly withdraws the endoscope from the intestine toward the stomach to make images of the pancreas and surrounding organs and tissues. ERCP (Endoscopic Retrograde Cholangiopancreatography) - The doctor passes an endoscope through the patient's mouth and stomach, down into the first part of the small intestine. The doctor slips a smaller tube (catheter) through the endoscope into the bile ducts and pancreatic ducts. After injecting dye through the catheter into the ducts, the doctor takes x-ray pictures. The x-rays can show whether the ducts are narrowed or blocked by a tumor or other condition. PTC (Percutaneous Transhepatic Cholangiography) - A dye is injected through a thin needle inserted through the skin into the liver. Unless there is a blockage, the dye should move freely through the bile ducts. The dye makes the bile ducts show up on x-ray pictures. From the pictures, the doctor can tell whether there is a blockage from a tumor or other condition. Biopsy - In some cases, the doctor may remove tissue. A pathologist then uses a microscope to look for cancer cells in the tissue. The doctor may obtain tissue in several ways. One way is by inserting a needle into the pancreas to remove cells. This is called fine-needle aspiration. The doctor uses x-ray or ultrasound to guide the needle. Sometimes the doctor obtains a sample of tissue during EUS or ERCP. Another way is to open the abdomen during an operation. What are various Stages of Pancreatic Cancer? Stage 1: Also called as resectable stage in which cancer is localized and in its formative stage inside the pancreas itself. The size of the cancer may be large. This stage also indicates that the cancer has still to make its entry into the lymph node in the vicinity of the pancreas and it has not spread its tentacles to other parts of the body. Stage -2: Also referred to as the locally advanced cancer, the cancer has spread to the duodenum or the bile duct and has invaded other tissues and organs situated next to the pancreas, but the cancer has not spread into lymph nodes situated nearby. Stage 3: Also called as the metastatic cancer. It may have acquired any size and could have made inroads into the tissues which engulf the pancreas from all the sides or the distant parts of the body like the lungs, liver or abdomen. Stage 4: This stage is further sub-divided into two stages, 4A and 4B. This stage is also referred to as the recurrent stage during which the cancer may have affected the nearby organs like the stomach, spleen, large bowels or the nearby large blood vessels. When it is 4B stage, it means that cancer has spread its tentacles far and wide and has reached the lungs or the liver. What is the Treatment and Surgery for Pancreatic Cancer? Four types of standard treatments are used. Whipple's Operation – This operation involves the removal of the head of the pancreas, the lower end of the stomach, most of the duodenum (first part of the small intestines), the common bile duct, gall bladder and the surrounding lymph nodes. The remaining part of the stomach, bile duct and pancreas are then reattached to the small intestines. Pylorus-preserving Pancreatoduodenectomy; At times, it is not necessary to remove the lower end of the stomach, thus preserving the stomach valve (the pylorus) that empties into the small intestines. Distal Pancreatectomy - also called 'left' pancreatectomy, it is performed on the tail end or the body of the pancreas, which is furthest away from the join to the duodenum. Total Pancreatectomy - sometimes it is necessary to remove the whole pancreas if there is a large cystic or endocrine tumour. Palliative Surgery - If the cancer has spread and cannot be removed, there are a number of operations that might be recommended by your doctor to help alleviate some of the symptoms of the disease. The most common symptoms that need surgical intervention are jaundice, bowel obstruction and pain. The blockage due to tumor in the duct can be treated a number of ways. Insertion of a plastic or metal tube called a stent - Usually this can be inserted endoscopically while the patient is sedated. Biliary Bypass - Choledocho-Jejunostomy - if placing a stent is not possible, an operation that allows the bile to drain away by bypassing the blockage can be performed. It is where the bile duct is cut above the blockage and then reattached directly into the small intestines. Gastric Bypass - The upper part of the small intestines - the duodenum - can become blocked by the tumor. In this surgery the duodenum below the blockage is attached directly to the stomach, allowing the food to pass through into the bowels and relieves bowel obstruction. Coeliac Plexus Nerve Block -The nerves from the pancreas collect just behind it in a thick bundle called the Coeliac Plexus. By injecting a special chemical directly into this nerve plexus you may receive pain relief. What is the Targeted Therapy For Pancreatic Cancer? Radiation therapy is a cancer treatment that uses high-energy radiation beams to kill cancer cells. There are two types of radiation therapy. External radiation therapy uses a machine outside the body to send radiation toward the cancer. Internal radiation therapy uses a radioactive substance sealed in needles, seeds, wires, or catheters that are placed directly into or near the cancer. What Follow-Up Care to be taken after Pancreatic Cancer Surgery? Regular examinations are necessary to determine whether the cancer has returned or has advanced. Many of the same methods used to diagnose the cancer may be used to evaluate the patient's recovery. These may include CAT scans, MRI tests, and X-rays, among others. In addition, the treatment team will need to monitor the patient's hormone replacement therapy or other ongoing treatments. What are the Benefits of Pancreatic Cancer Treatment and Surgery? Although many of the treatments can cause side effects, these can usually be well controlled with medicines. Treatment can be given for different reasons, and the potential benefits will vary depending upon each person's situation. Treatment increases chances of positive results through the use of surgery, radiation or chemotherapy. If diagnosed early, cancer treatments encourage eradication of tumors and cancerous tissues and may increase positive prognosis. Treatments of Pancreatic cancer relieves patient from pain , thus helps them lead a better life. Why prefer India for Pancreatic Cancer Treatment and Surgery? In India, there are numerous hospitals available which specializes in different types of cancer treatments including treatment of Pancreatic Cancer. The pancreatic cancer specialists in these hospitals are well trained in the field of oncology and surgery. The level of healthcare services in the leading hospitals and medical centers of India are ‘at par’ with what is being offered in US and UK. India has several hospitals and medical centers that are known widely for their best medical and healthcare services in wide variety of fields. 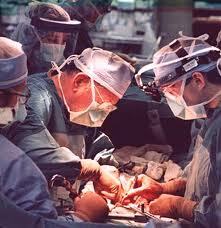 Physicians and surgeons handle many cases every day and are skilled in operating difficult and complicated surgeries. Most hospitals use advanced methods of therapy for all cancer treatments. Pancreatic Cancer is a disease that either needs prevention else excellent medical procedures to combat the disease. Out of all the medical procedures, for most types of advanced cancers, the only recommended procedure is surgery but this type of cancer is a bit complex and cannot be always operated upon. That is why, it is necessary to pick a good hospital and a qualified oncologist for the process of the treatment and in India, they are available in abundance. I picked up Forerunners Healthcare for the cancer surgery of my wife two years ago. Before the surgery everyone around was distressed and worried about how should we go about the surgery and what are the chances of success. Some even conveyed us that pancreatic cancer is not treatable. However, my faith was strong and I was standing tall with my wife all through the course for her surgery. And then was a miracle, a miracle from the lord above but executed by the expert oncologist from the team of Forerunners. Two years ago my wife was in safe hands and that’s why today my wife has created a safe and secure home for her family. India is the most preferable destination for patients who are looking for low cost Pancreatic Cancer Surgery / Treatment. The cost of the Pancreatic Cancer Surgery / Treatment in India is typically a fraction of the cost for the same procedure and care in the US and other developed countries. Comparing Pancreatic Cancer Surgery / Treatment cost in India with the same treatment procedure in other countries, the price for surgery would be 30-50% lower. The cost can vary depending on the type of surgery required and other medical conditions of a patient. The costs of the Pancreatic Cancer Surgery / Treatment based on the type of the surgery required in various countries in the chart / table are given below. The price comparison is given in USD. *The price for the Pancreatic Cancer Surgery / Treatment is an average collected from the 15 best corporate hospitals and 10 Top Neurosurgeons of India. 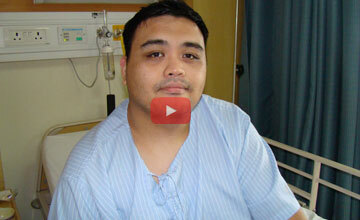 How to get Low Cost Pancreatic Cancer Surgery / Treatment in India? We have worked out special packages of the Pancreatic Cancer Surgery / Treatment for our Indian and International patients. You can send us your medical reports to avail the benefits of these special packages. You would be provided with 3 TOP RECOMMENDED SURGEONS / HOSPITALS FOR YOUR PANCREATIC CANCER SURGERY / TREATMENT in India. How many International patients came to India for Pancreatic Cancer Surgery / Treatment? The list of TOP 10 African countries from where the Pancreatic Cancer Surgery / Treatment Patients travelled to India are given below. The major reason of large number of patients travelling to India for medical treatment from these countries is because of availability of top pancreatic cancer surgeons in India, affordable prices and very good air connectivity, tourism options and many more reasons. The maximum number of patients for Pancreatic Cancer Surgery / Treatment come from – Uganda, South Africa, Sudan, Kenya, Nigeria, Somalia, Ethiopia, Tanzania, Rwanda, Sierra Leone. 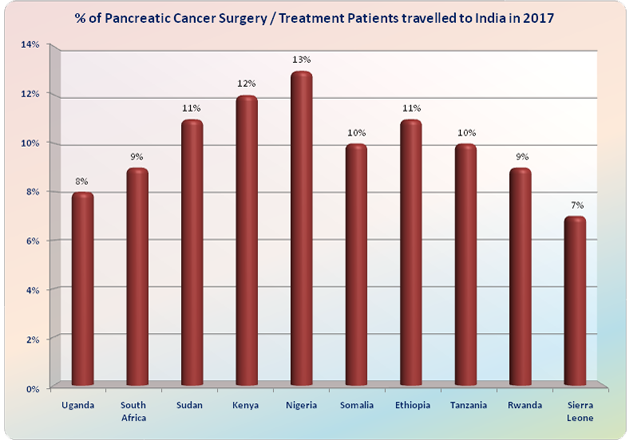 Here are the approximate percentage wise distributions of the patients coming from Top 10 African countries to India in 2017 for Pancreatic Cancer Surgery / Treatment. ARE YOU ALSO A PATIENT WANTING TO TRAVEL TO INDIA FOR PANCREATIC CANCER SURGERY / TREATMENT? Our International Patient Executive would connect with you and answer all that you need to plan your Pancreatic Cancer Surgery / Treatment in India. Which is the Best Hospital in India for treatment of Pancreatic Cancer? India has not one but many better than the best hospitals for cancer treatment. Mail us your medical report and we will find the hospital most suitable to treat your medical condition. How will doctor know if I have Pancreatic Cancer? The doctor may perform a number of procedures, including one or more of the following like, Whipple's Operation, Pylorus, Distal Pancreatectomy etc. to confirm the cancer. Visit our website to know more. Side effects of pancreatic cancer treatment vary depending on the type of treatment. For example, radiation treatment side effects include fatigue, and diarrhea. 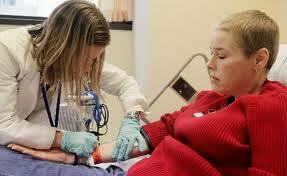 Chemotherapy side effects can include fatigue, loss of appetite, change in taste etc. No, cancer cannot spread from person to person.